"Cinema is what’s in the frame and what’s out." 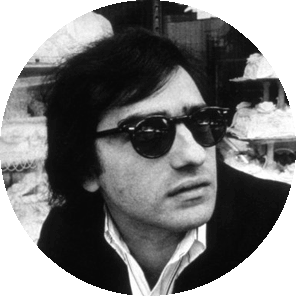 Attention to detail is the hallmark of the great directors like Martin Scorsese and where possible we try to cover everything or at least answer it here. I work as a freelance journalist / reviewer. My reviews appear in several titles which I hope to broaden with nospoilereviews.com. Outside of my writing, I work as a photojournalist as represented by Polaris Images, NY. You can see my photography work at markesper.com. What can I expect from one of your "No Spoiler Reviews"? In short, an honest opinion framed in a text that doesn’t spoil your enjoyment of the movie. Within the review I will keep the movie’s surprises secret so that you can still enjoy the it without knowing what comes next. Can I reprint / republish your reviews? No. All the movie reviews and content on this site are displayed under copyright with all rights reserved. However if you would like to professionally publish or print a review from this site, please contact us first at info@nospoilereviews.com to discuss it further. When / how often do you publish your reviews? I am fortunate to attend many press screenings and so I see many films in advance of their scheduled release dates. Quite often these movies have embargo dates which prevent me from publishing reviews too far ahead of their release – which I’m fine with. As a rule of thumb it’s usually no more than a 1-2 weeks ahead of a movie’s general release, depending on its embargo status. Do you work to a set length? Initially no. That said, I can work to set lengths if required to by a publication or magazine. Usually I write the review as I see it and then edit it (down usually) to accommodate a publisher’s requirements if needed. Do you write your reviews in different languages? Not at the moment. I principally write in English and occasionally French but all the reviews generally start in English as it is my mother tongue. I also work with a highly reputable translation service which is both quick and reliable. So if you have a movie review requirement for a different language that can also be arranged. Please contact us at info@nospoilereviews.com for further details. No. The reviews on this site are copyrighted, with all their rights reserved. If you would like to professionally publish or print a review on this site, please contact us first at info@nospoilereviews.com. If you want to link to a review on this site then please use the social media links as provided on the bottom of each review. What does the term "embargo" mean? Quite often movie distributors will request that movie reviewers delay publication of their reviews until the film is about to launch in cinemas. Until then it is “under embargo” thereby forbidding a review’s public distribution. This is normal practice for movies seen far ahead of their release dates and as such No Spoiler Reviews respects this. Eventually how many reviews will there be? Whilst I have been watching movies for many years, I have have only recently started writing about them. As such you will notice a concentration of movie reviews from 2017 onwards. This will change over time as I want to revisit and reassess many classic movies that have shaped my opinions and had such an effect on me. Is it possible to commission a review or article? Yes, it is. Simply contact us at info@nospoilereviews.com to discuss this further or use the form on our contact page to specify or expand on your requirements. How long does it take you to write a review? About an hour. The initial draft happens quite quickly but then I will redraft it continuously for pacing. Usually I will write a movie’s review either on the same day or (if professional considerations can be set aside) possibly the day after if the impact needs more time to sink in – but no more than that. Principally PayPal for online payments or direct bank transfer if it is with a print title or magazine. If you want to use or commission a movie review you will be sent an estimate and then a further invoice with the payment details attached. Are your reviews subject to VAT? Depending on your VAT status and country they may be as we are registered for VAT here in Germany. For more details please contact us for more information about supplying movie reviews to your business / country. Are my payment details safe if I pay online? Yes, they are. All our online payments are processed through Paypal and as such and we don’t have access to, nor store our customers’ credit card details. Is it possible to arrange a meeting first? Of course, by all means. Whilst No Spoiler Reviews is based in Berlin, Germany, we do also make occasional trips abroad. Please contact us ahead if you would like to meet outside of Berlin. That said, we can also meet online via Skype / FaceTime if that is preferable. Forgotten your Press Area login? If you have forgotten your press area login details simply send an email to info@nospoilereviews.com and we’ll send you a reminder email back. How long have you been writing reviews? I have only recently started writing film criticism and articles about the movies in the last few years (i.e. from 2015). What started out as a fringe activity for friends and family on Facebook has now grown in to something bigger as more and more people want to enjoy their movies without the surprises being ruined. Do you only do 'movie' reviews? At the moment, yes. However even as I’m typing this, I can see that this is going to change as I’m starting to review TV series in line with the explosion of high quality series from Netflix and others. Watch this space as a TV series section will be coming online shortly. How in-depth is a "No Spoiler Review"? I try to make it as detailed as I can (within the limitations of not revealing any spoilers). Most movies have a stand-out feature or a killer performance that marks it out. I try to focus on these key impressions. What I try to do is give the reader a sense of what they are going to see without revealing the whole mise-en-scène. Is there a formula to writing movie reviews? No, or at least not that I’m aware of. I try to approach every movie with an open mind and most importantly: passion. One consideration I do try to keep in mind when writing a movie review is how well it reads after you’ve seen the film. A good movie review should read well both before and after you’ve seen the movie. What do you use to write your reviews? If it is commissioned piece with an urgent deadline I normally use my iPad. If there’s more time then I might use my desktop Mac. In either case I use an open platform word processing app so I can distribute the review(s) in any format (Text, Word, PDF and more) to any computer system. If there’s something you would like to know or a question you’d like to ask please use the form below.